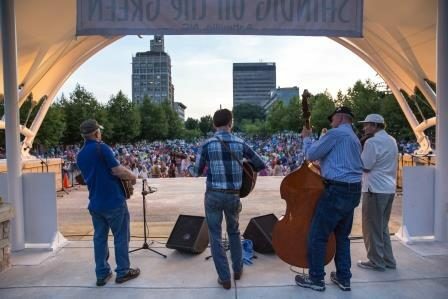 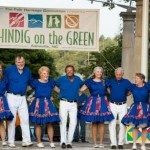 Asheville’s Mountain Dance and Folk Festival, precursor to Shindig on the Green, is the nation’s first and oldest continuously running folk festival. 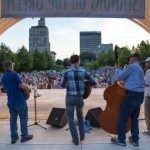 What began as a small show in a city festival resulted in two of the most important cultural events in the region. 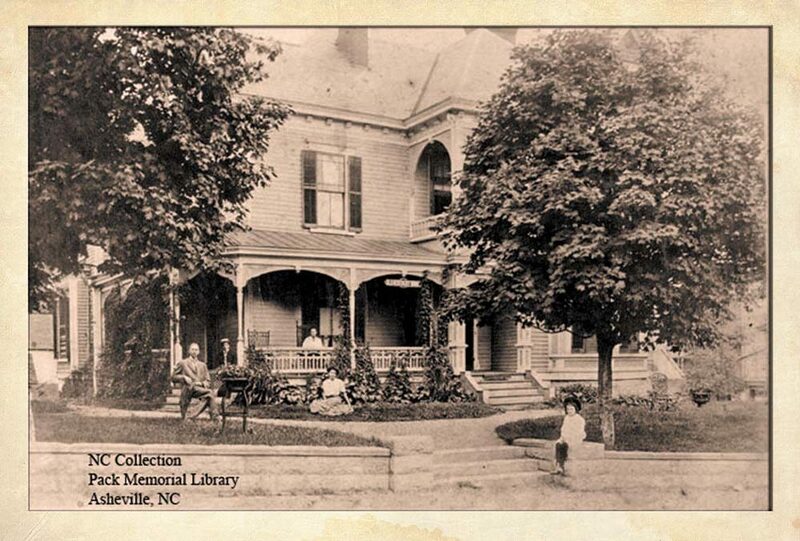 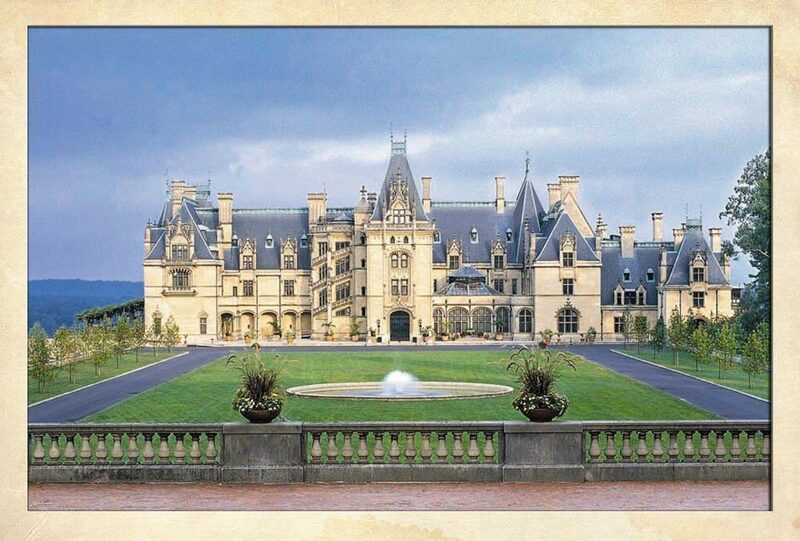 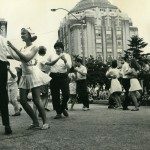 In 1928, the Asheville Chamber of Commerce asked musician and folk historian Bascom Lamar Lunsford to arrange a folk song and dance program as part of the city’s Rhododendron Festival. 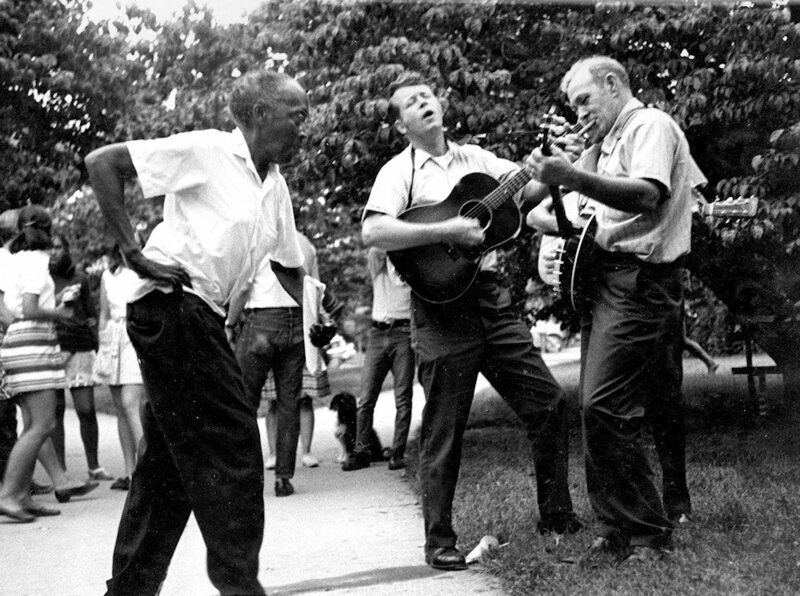 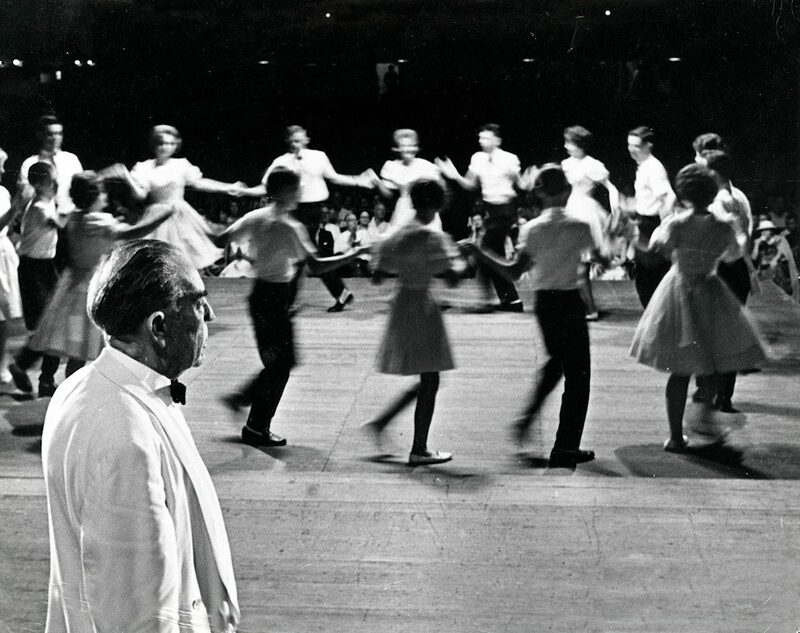 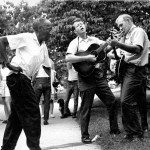 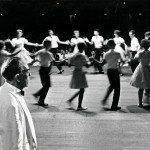 When Lunsford brought the music and dance out of the Southern Appalachian Mountains and onto the stage for the public to experience, he created one of the nation’s most important historical and cultural performance events. 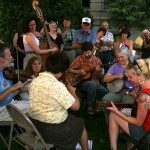 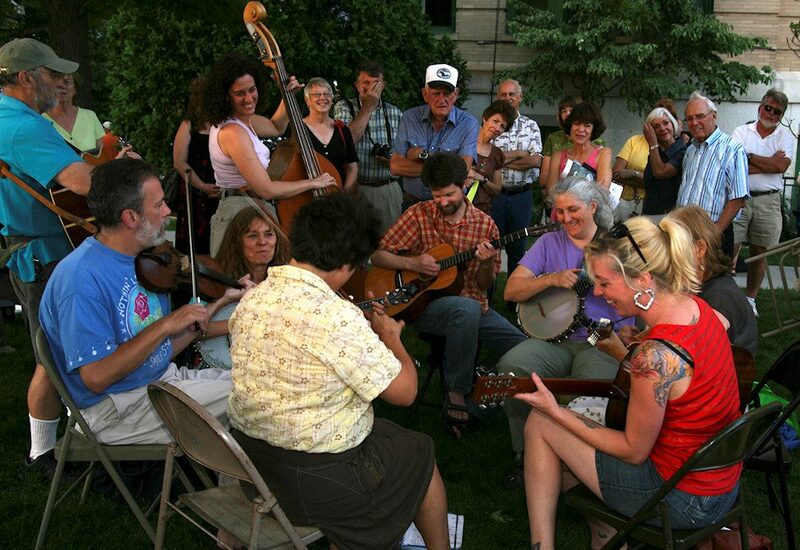 Asheville’s Mountain Dance and Folk Festival is the nation’s first and oldest continuously running folk festival. 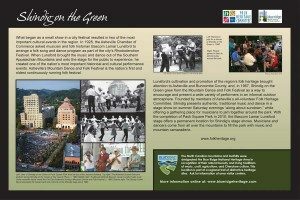 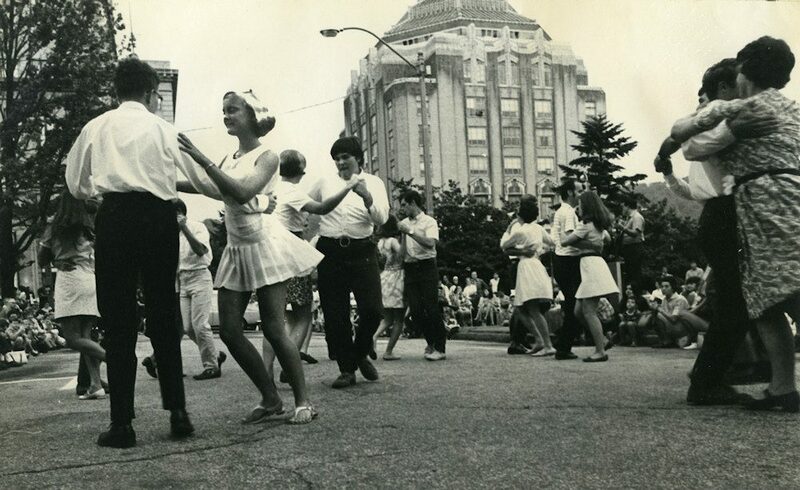 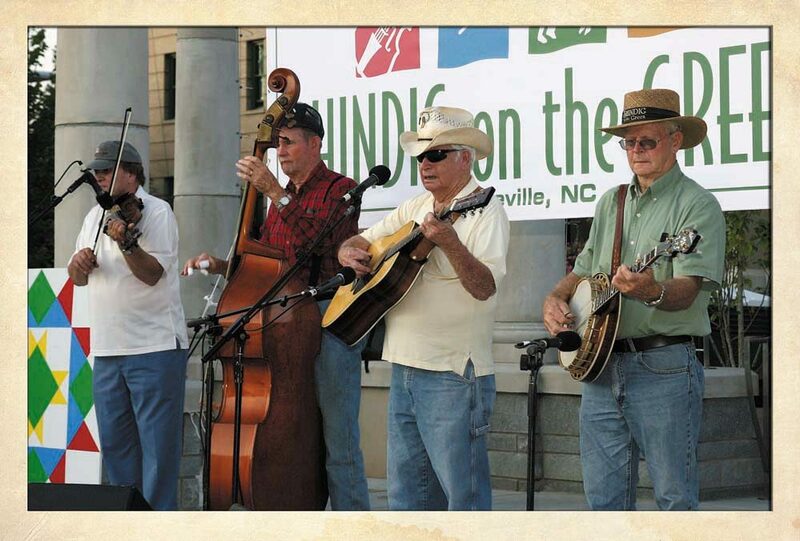 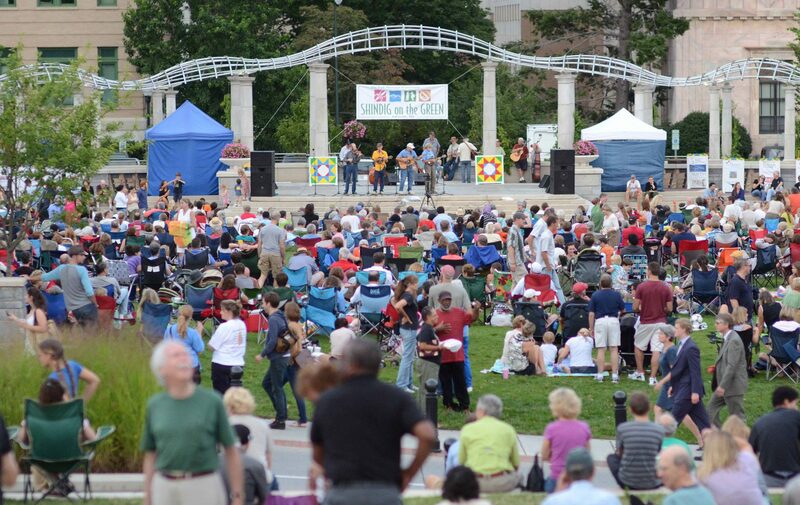 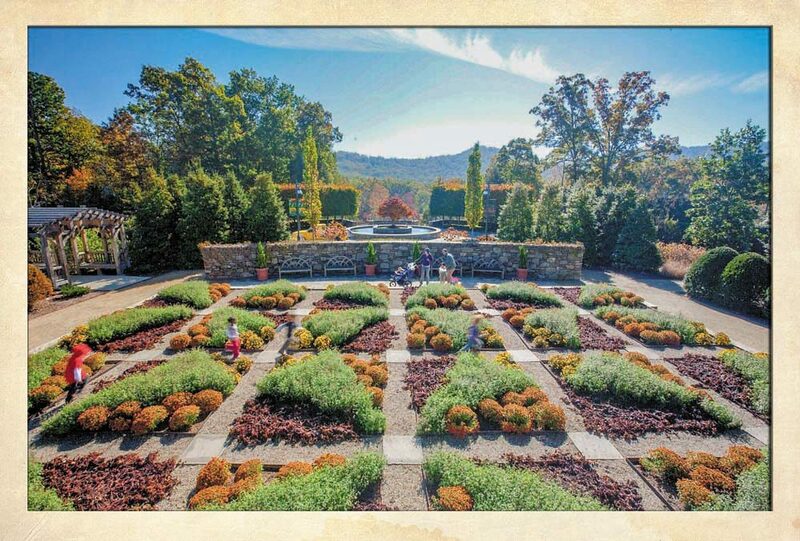 Lunsford’s cultivation and promotion of the region’s folk heritage brought attention to Asheville, and in 1967 Shindig on the Green grew from the Mountain Dance and Folk Festival as a way to encourage and present a wide variety of performers in an informal outdoor atmosphere. 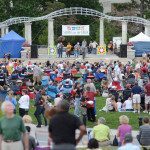 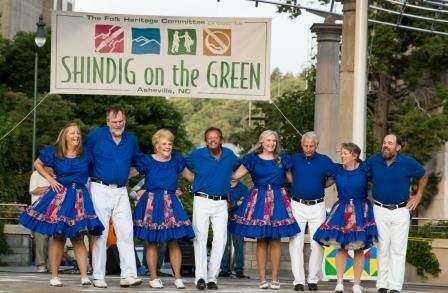 Shindig on the Green occurs thanks to the talent and generosity of its volunteer musicians and dancers who span several generations much to the delight of those in attendance. 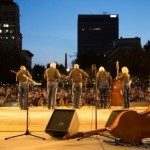 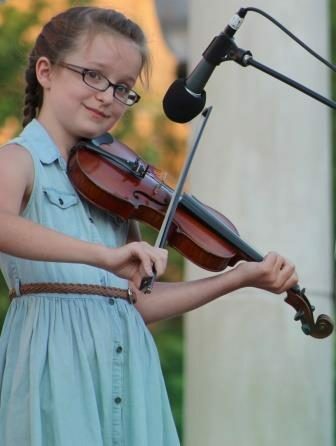 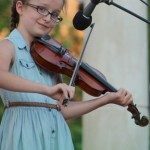 From young children perfecting their square dance steps to great-grandmothers singing ballads passed down through the years, the region’s wealth of traditional talent takes center stage. 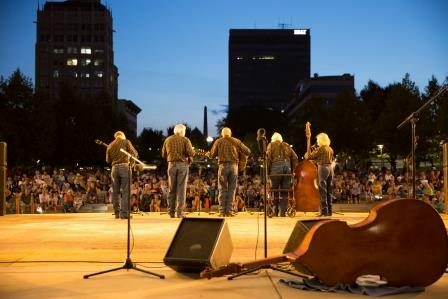 Since the outdoor event’s inception in 1967, hundreds of thousands of individuals from across the region and throughout the world have shared and enjoyed the rich traditional music and dance heritage of the Southern Appalachian Mountains in this outdoor setting.